You wouldn’t think of driving a car without a fuel gauge would you? But even if you did and you had no idea how much fuel was left in your tank, the worst that would happen would be you would run out of fuel! Admittedly that may not be very convenient if you were in the outside lane of the M5 but you would probably be able to pull over and curse yourself for running dry. But now apply that same situation to your tyres – those hand-print sized pieces of rubber which are all that keeps us on the road. By not knowing what air is in them you are creating a potential danger which goes far beyond running out of fuel. If your tyres are over- or under-inflated they are potentially lethal – forget running out of fuel, think running out of life! Hundreds of fatal or serious road accidents are caused in the UK every year by tyre failure, yet almost three quarters of cars on British roads have tyres that are under-inflated. The UK Department for Transport statistics show that defective or under inflated tyres are a factor in hundreds of fatal or serious road accidents each year. The latest statistics (Road Casualties Great Britain: 2007 (Annual Report)) records 283 fatal or serious accidents where tyre condition was a factor, making this the most common vehicle defect. The actual contact patch of rubber with the road is very small even when tyres are correctly inflated. Correct tyre pressure gives best grip and shortest braking distance. However when they are over- or under-inflated the contact patch becomes even smaller. 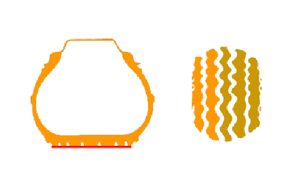 Over-inflation reduces contact and leads to uneven tyre wear. Under-inflation is even more dangerous as it reduces grip and increases braking distance. Cornering is impaired as the tyre tends to roll under the wheel rim. Excess flexing of the sidewall can cause delamination and overheating, leading to a blowout. Under-inflated tyres wear faster and can increase fuel consumption by 10% or more. There is a legal responsibility for the driver to ensure that tyres are in proper condition and penalties for offences are very severe. The penalties for having illegal tyres are currently up to a £2500 fine and 3 penalty points PER TYRE. Two faulty tyres could cost six penalty points, loss of licence and a £5000 fine! But apart from the safety implications, incorrect tyre pressure leads to increased tyre wear and a significant increase in fuel consumption and has a negative environmental impact as well. It is not possible to identify a pressure reduction of 3psi by sight alone, and virtually impossible at 6psi, especially on low profile tyres. Continental Tyres estimates that a 6psi drop in pressure causes 10%-20% increase in fuel consumption and 30% or more increase in tyre wear. Road transport is the source of 22% of all UK CO₂ emissions each year. This could be significantly reduced by vehicles having correctly inflated tyres. Research by Michelin reveals that poor tyre pressure maintenance is costing UK motorists more than £440 million, wasting more than 370 million litres of fuel and pumping an additional 1 million tonnes of CO₂ into the atmosphere. As well as 700,000 tyres being wasted through unnecessary wear. So incorrectly inflated tyres leads to less grip, increased braking distances, poor cornering, uneven tyre wear, higher fuel consumption and a negative effect on the environment. And let’s be honest, when did we last check our tyre pressures? I know we all mean to do it but in the haste to get away in our vehicles we often forget to do so. And even if we do check them we have no way of knowing what happens to those pressures whilst we’re driving along. Some of us can remember the spate of fatal rollover accidents involving Ford Galaxys and Firestone tyres in 2000 when over 200 people were killed. As a result the US government introduced the TREAD act that required tyre pressure monitoring systems (TPMS) to be fitted to all new cars. This has applied to all cars and light vans sold in the USA since 2008. There are arguments that the legislation was over-hasty as there was no standardised technology available at the time, but after some false starts, it did result in the development of reliable and cost-effective solutions. The European Union has taken a different line with ground-breaking regulations that are concerned with environmental impact as well as safety. The legislation was approved in March 2009 and will mean that approved systems will have to be fitted to all new cars sold in the EU from 2014, and for all new type-approvals from 2012. Whilst any safety feature which potentially saves lives is to be welcomed, it doesn’t go the whole way – the EU regulations will mostly provide warnings that the tyre pressure has reached a dangerously low level – think fuel warning light on a car. It will not tell you what your pressure is – so not completely satisfactory is it? But what is TPMS? It is any system which can monitor the tyre pressures of a vehicle and provide warnings when critical levels are reached. There are basically two types of TPMS – indirect and direct. Some of the first systems worked indirectly by comparing the speed of rotation of the wheels. An under-inflated tyre has a slightly smaller circumference than one at the correct pressure, so a sustained difference in speed is interpreted as an under-inflated tyre. The system has to distinguish this tiny effect from differences caused by cornering and other aspects of normal driving, and early systems required as much as 20 minutes driving to establish a pattern. Later systems, such as that used by BMW around 2006 were able to give a puncture warning within about three minutes. The main disadvantages of indirect systems are that they remain rather inaccurate and slow to respond. Crucially, they are not able to detect a condition where the pressure of all tyres changes simultaneously – a common situation as tyres gradually lose air through diffusion or when pressure changes due to seasonal temperature variation. Indirect TPMS technology is gradually being phased out, but is still used by some car manufacturers as it can use parts in common with the antilock brake (ABS) system and is therefore relatively cheap to implement. Direct systems use individual sensors for each tyre and transmit data to a central receiver that provides information for the driver. These systems overcome most of the problems associated with indirect systems. They can detect small changes in pressure, including those that occur in all tyres simultaneously. Response can be rapid, with real-time updates even when the vehicle is stationary. 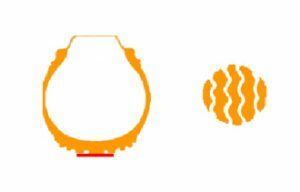 Sensors with a battery-powered transmitter are either located inside the tyre (internal sensor), or in a special valve cap (external sensor). Typically, the sensors also provide temperature data. The requirement for internal sensors to have a reasonable working life places huge demands on the power system. The batteries are encapsulated with the sensor, so after a typical life of five years the tyres have to be removed and the sensors replaced. Experience in the US suggests that this will present problems during the service life of the vehicle as tyre fitters deal with an increasing variety of incompatible systems. 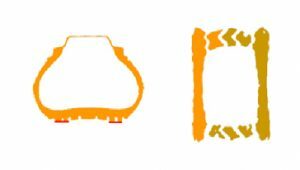 Fitting internal sensors for existing vehicles takes longer and can increase the cost by 50% or more. One fairly widely reported problem with internal sensors is that they are easily damaged by tyre fitting machinery. In the event of a problem with an internal sensor, testing requires specialist equipment and the only way to get to the sensor is to remove the tyre. External sensors can be tested very easily by switching them between tyres, and can easily be replaced if necessary. For after-market fitting, external systems have considerable advantages. They can be installed by the user in a few minutes by just screwing the sensor caps on to the tyre valves. Furthermore, batteries are replaceable, so the service life of the sensor is not dependent on the battery and when sensors do eventually need replacing, it can be done without removing the tyres from the wheels. External sensors can be quickly switched between wheels. This is very useful for track use or for summer/winter tyres. External sensors on caravans can be removed easily and quickly and used on other vehicles when not required on the caravan. And mentioning caravans brings up the fact that the new EU legislation will not apply to new caravans and yet the pressure loading on caravan tyres is very high, even more so than cars. If you are towing a caravan, tyre pressures are particularly important as you can’t get any feel for what your tyres are doing whilst you are driving. So arguably it is even more important to have TPMS on a caravan than on a car. Caravans have relatively basic suspension and the tyres, to a large extent, act as the main shock absorbers. On a 2-wheel caravan each wheel has to support about half the weight of the caravan although at certain times it is possible for much more than half the weight of the caravan to be carried by the wheel on one side – caravans with single axles often carry as much weight on 2 wheels as a small/medium size car carries on 4 wheels. The recommended inflation pressures are given in the vehicle handbook and often also on a label in the door frame. There may be different pressures for front and rear tyres, and higher pressures may be recommended when the vehicle is fully loaded. These recommended pressures are designed to give the best balance between comfort, road-holding and fuel economy for a given vehicle. Recommended tyre pressures are specified for cold tyres, but the tyres warm up when driving, and in normal service pressure increases by about 10%, although caravan tyres often increase by up to 15% because of the extra pressure. Tyres should always be inflated to the recommended level while they are cold. A tyre inflated to 32psi at 25°C increases about 1psi for each 10° rise in temperature. If you are checking warm tyres, you can make an approximate allowance by adding 1psi to the manufacturer’s recommendation for each 10 degrees above the ambient temperature. Seasonal temperature changes can have a significant effect on tyre pressure, but tyres should be maintained at the manufacturer’s recommended pressure level. This means that they need more air in the winter and less in summer. So an external system that could continuously monitor your tyre pressures and temperatures would surely be a great safety feature.